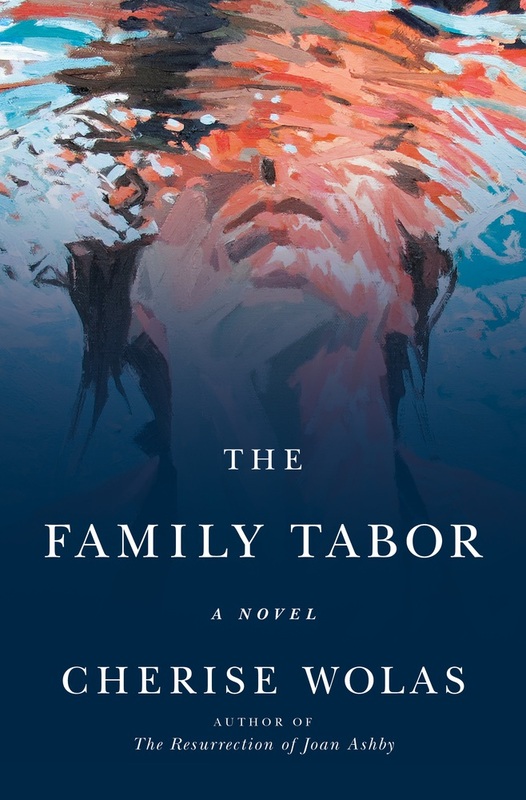 Wolas's new novel is The Family Tabor. I was a one-book-at-a-time girl, but when I got married, my husband gave me a Kindle, saying, “It would be so nice if sometimes I could go to sleep in the dark.” So now I read one novel in book form, and another at night on my Kindle. 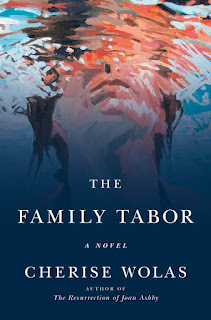 But lately, and unusually, I find myself dipped into many books (just starting, in the middle of, just finishing, and itching to start) probably because I’m book-tour traveling for The Family Tabor. This is just a sampling; there are several more books I could add in under each heading! And because I’m always asked for book recommendations, I’m maintaining a running list of the books that most affect me on my website. 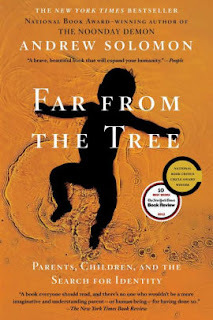 Far From The Tree: Parents, Children and The Search for Identity by Andrew Solomon. I’ve had this massive tome on my bookshelves since it first came out in paperback years ago, and I’m now reading it one full section at a time. Solomon did extraordinary research interviewing more than 300 families with “exceptional” children; children with “horizontal identities,” his term that encompasses all the “recessive genes, random mutations, prenatal influences or values and preferences that a child does not share with his progenitors.” It is a psycho-sociological study, yes, but highly readable, mysterious, passionate, immensely affecting, and emotionally resonant. And Solomon threads his own personal story through it. It is one thing to feel ourselves different from our families, quite another to be actually absolutely different from our families. Love shines through it, as well as the tremendous difficulties. And puts the lie to Tolstoy’s maxim about happy and unhappy families. Property by Lionel Shriver. This is Shriver’s first collection (stories bookended by two novellas), and the stories are intelligent, insightful, ironic, dense with details, sharp, and often very funny. 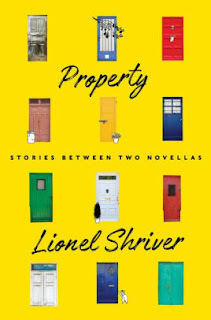 The collection feels unified to me, more than most, because Shriver thoroughly explores her theme which is about ownership: about how we do—or do not—possess things like homes, land, money, empty nests, and ourselves. This thematic commitment allows the stories to communicate with one another in unusual ways, and I’ve been finding there is a fluidity to the actual reading, rather than the stop-start I often experience with collections. Kudos by Rachel Cusk. The third book in the trilogy that includes Outline and Transit. The narrator, Faye, whose name is used only once in each book, is a middle-aged writer, astute, but curiously passive, and seems to reflect back those who feel compelled to tell her their own stories. Indeed, each book is composed nearly entirely of highly eloquent and intellectually abstracted conversation, via stories that are often fascinating. Faye’s own side of the conversation is mostly elided. Each volume is back-grounded in the literary fiction world. 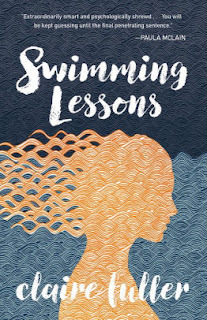 Faye is teaching a writing workshop in Greece in Outline, at a literary festival in Transit, and touring for her recent unnamed and un-summarized new book in Kudos. She herself progresses: divorced, renovating her home, remarrying, her boys grow into teenagers, and she is both a present and absent mother; but for the most part, these personal progressions are simply remarked on. Topics such as power, powerlessness, freedom and fate, love and its opposite, are within these novels. 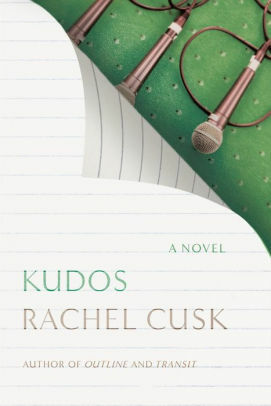 Kudos has an exceptionally powerful ending. Many reviews and essays have been written about Cusk’s trilogy, so I’ll stop here. 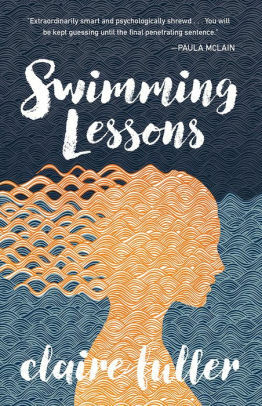 Also Swimming Lessons by Claire Fuller. A layered, strange, ripe tale about love, loss, and family. Ingrid Coleman, wife and mother, has been missing for 12 years; she went swimming one day and never returned. In her absence, the family has soldiered on. Flora, the younger daughter, is a lost soul; Nan, the older daughter and a nurse, has played mother to her sister, and their father, Gil Coleman, known for a scandalous novel he wrote long ago, might be fading. The contemporary story is interwoven with letters Ingrid wrote to her husband, then tucked into the folds of books, massive stacks of which have taken over the family’s house by the sea. The Shape of the Ruins by Juan Gabriel Vasquez. Recently, I was at a book event for The Family Tabor at Little City Books in Hoboken, NJ, and the lovely owner gave me the galley of this newest Vasquez, coming out in translation in September. According to the galley flyleaf, the book “explores the darkest moments of a country’s turbulent history and reveals the ways in which past violence shapes present lives.” Vasquez has become one of my favorite writers. I discovered him two years ago, and absolutely loved the novels The Sound of Things Falling and Reputations, and the story collection, Lovers on All Saints’ Day. I rarely reread, but have all three stacked up to reread. Lovers is a collection set in forests, on hunts, on stately properties, with marvelous details of gestures and objects that flesh out the characters as they move about lost and distant, defined by their struggles and usually by the failures of their romantic relationships. Many of these stories have stayed with me. 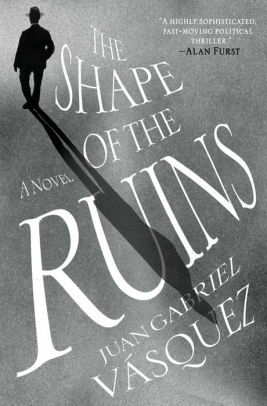 Vasquez is very different from Gabriel García Márquez; he rejects the vivid colors and uses instead a noir-ish palette. The Sound of Things Falling is a compelling page-turner, but also a deep and hushed meditation on fate and on death. The novel is built on Colombia’s tragic history as a country enriched and destroyed by drugs, but has as its core the story of Antonio, a young and newly married professor of jurisprudence, who unwinds by playing billiards, and befriends an older man, Laverde, rumored to be recently released from prison, and it goes on from there, or rather it goes both forward and backwards, into memory, lies, fabrications, and truth. Reputations is about Javier Mallarino, a famous and feared political cartoonist, and about an event that may or may not have happened 28 years earlier. Again, it deals with the past, with memory, and fabrication, with finding the truth. Vasquez is a master of patient pacing and intricate structure, which I adore. 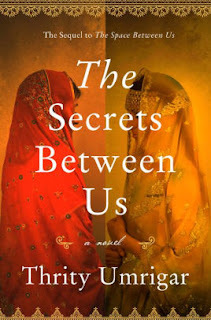 Also The Secrets Between Us by Thrity Umrigar, a sequel to her beautiful and heartbreaking novel, The Space Between Us. I read Space when it first came out. Set in Bombay, it’s about the personal and class-distinctive relationship between Sera, the housekeeper with a tragic life, and Bhima, the middle-class Parsi widow who employs her. 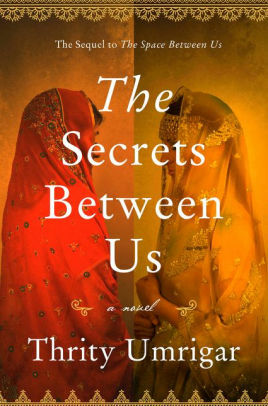 I might have to reread Space before starting The Secrets Between Us, which continues these women’s relationship. The Page 69 Test: The Family Tabor.